Although Edmund ascended to the throne of a unified England, he would quickly discover that the north had not lost the will to fight. As soon as news of Æthelstan’s death spread, a man named Olaf Guthfrithson usurped power in Northumbria. The upstart Northumbrian king, however, died in 942. Nevertheless, King Edmund’s problems were not over yet. Although one troublesome Olaf had died, a different Olaf was still causing problems for Edmund. Olaf Sihtricson was the son of a former king of Northumbria. He attempted to wrest his family’s domain back from Edmund and, by 943, went on the offensive by capturing Tamworth. Yet, before the end of the year, Edmund launched his own campaign and had the Northumbrian rebels on the run. 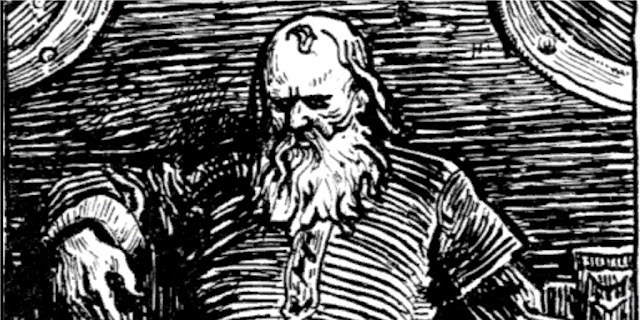 Olaf Sihtricson was nearly captured at Leicester and he reportedly allowed himself to be baptized in an attempt to placate King Edmund. The show of religious assimilation supposedly put Olaf and Edmund on friendly terms, but friendship did not stop King Edmund from deposing Olaf Sihtricson and reclaiming Northumbria for England by 944. King Edmund continued his string of victories by conquering Strathclyde in 945. 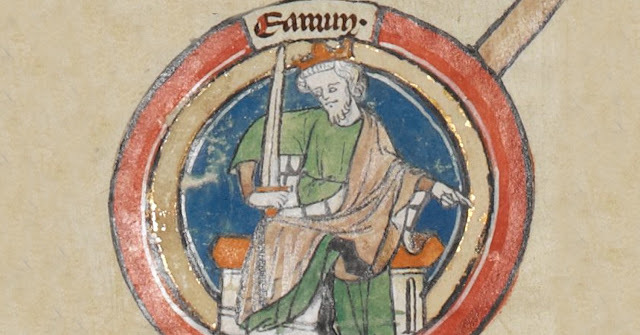 King Edmund also showed promise in international politics. He gave the freshly conquered region of Strathclyde to King Malcolm I of Scotland in exchange for a military alliance in 945. That same year, Edmund also meddled in French affairs by helping negotiate the release of his nephew, Louis IV of France (r. 936-954), who had been imprisoned by a powerful duke. With a growing network of powerful friends to match his expanding lands, young Edmund seemed to be on the precipice of a golden age. Yet, in 946, Edmund was suddenly and bizarrely cut down at the height of his power. On May 26, 946, King Edmund was celebrating the feast of Saint Augustine at his estate in Pucklechurch, Gloucestershire. The king had guests over for the event, but one particular attendee present for the festivities had not been invited. His name was Liofa or Leofa, and he had been outlawed or exiled by the king at some time in the past. For unknown reasons, the outlaw decided to crash King Edmund’s party. The medieval sources gave little information as to why he was there and it is vague whether or not Liofa’s actions that day were premeditated or spontaneous. Whatever the case, the king and the outlaw fatefully crossed paths during the celebration. After being discovered, Liofa pulled out a blade and attacked King Edmund. Despite having won many battles and conquered several kingdoms, Edmund could not win in his final struggle against the single outlaw, Liofa. At only twenty-five years of age, King Edmund I was randomly stabbed to death and the crown passed to his brother, Eadred.